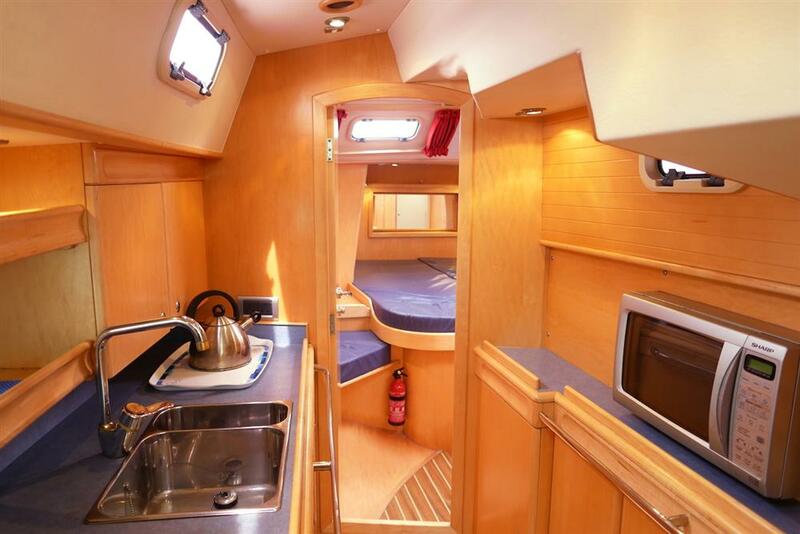 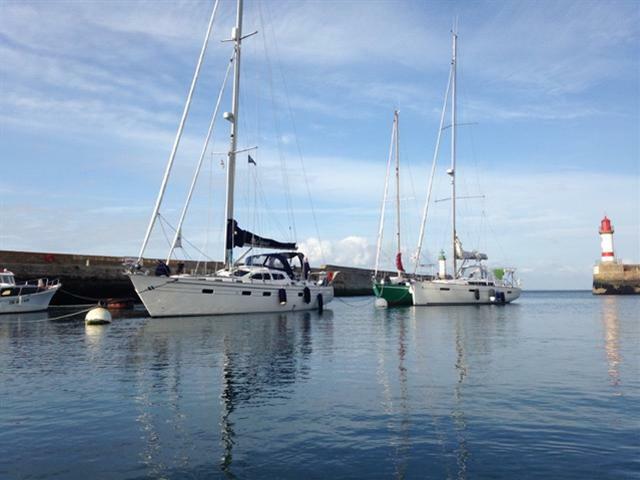 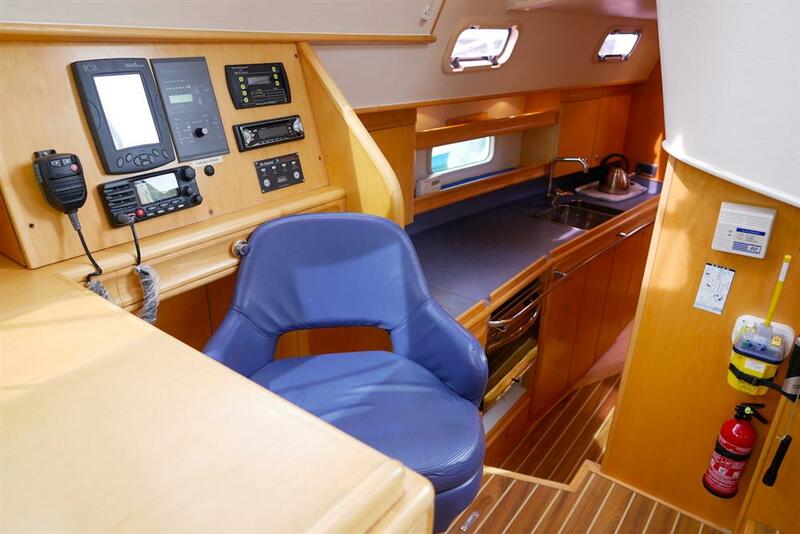 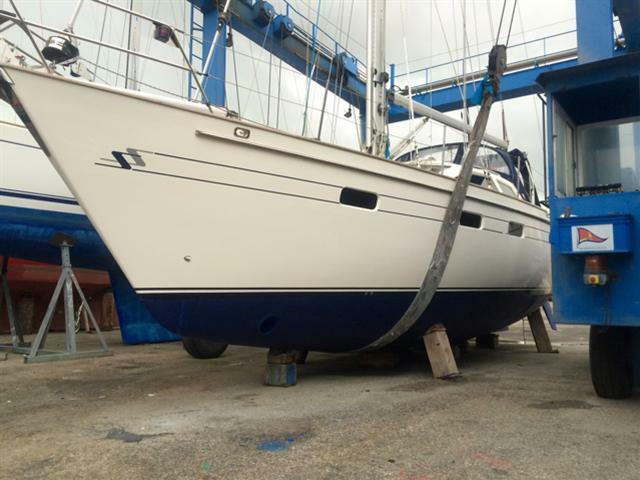 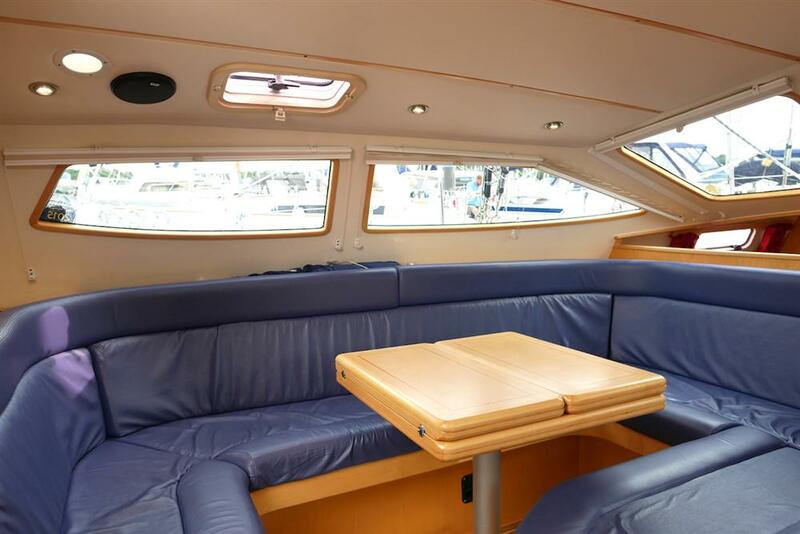 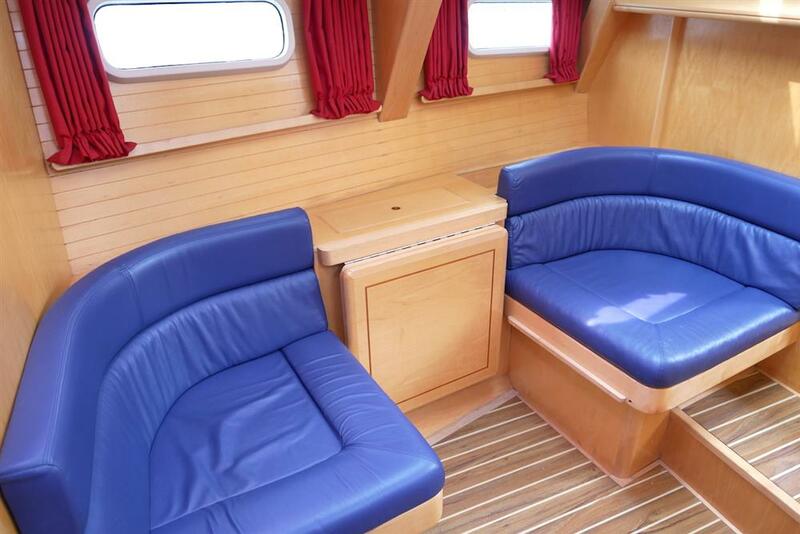 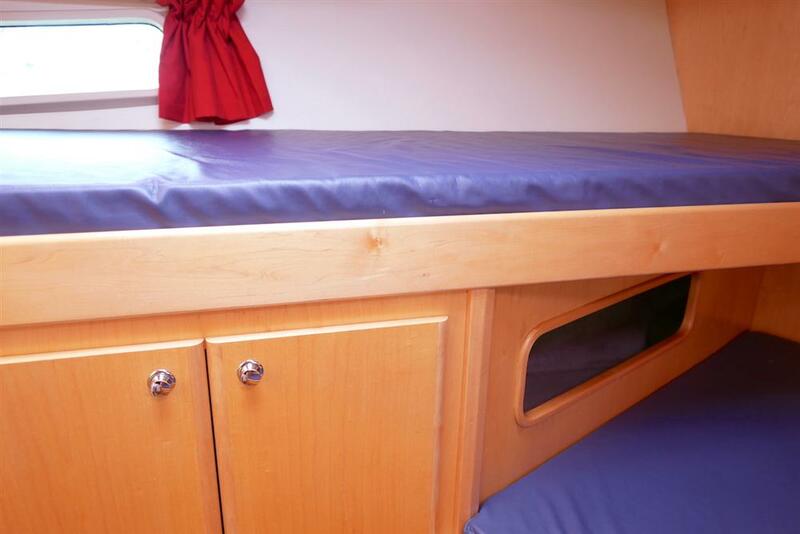 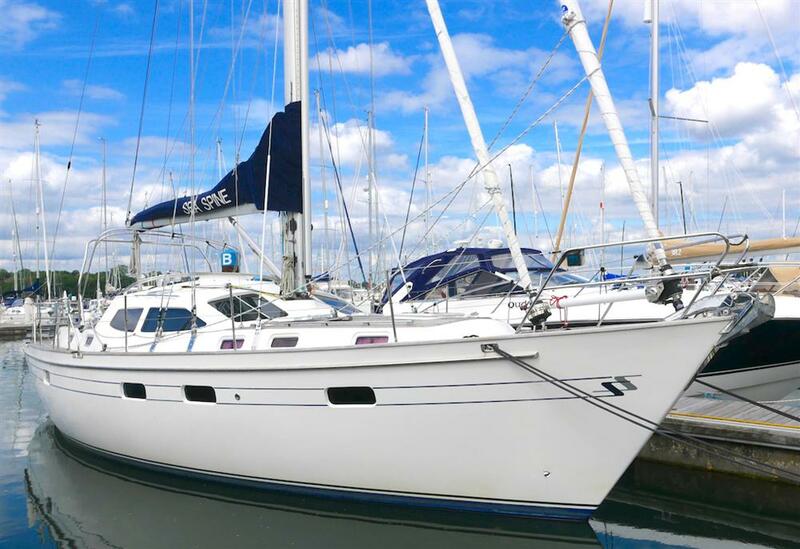 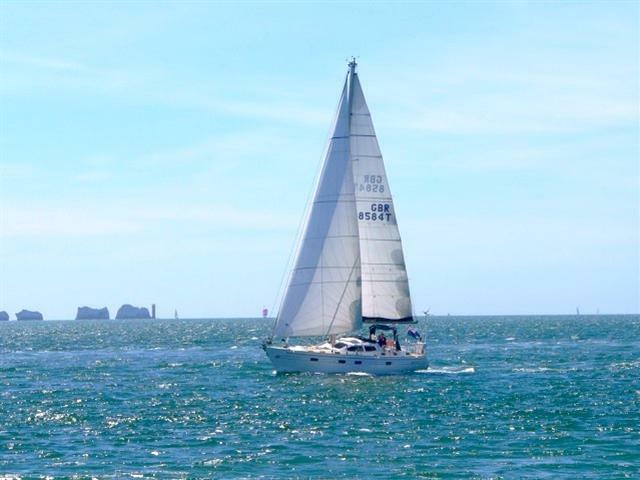 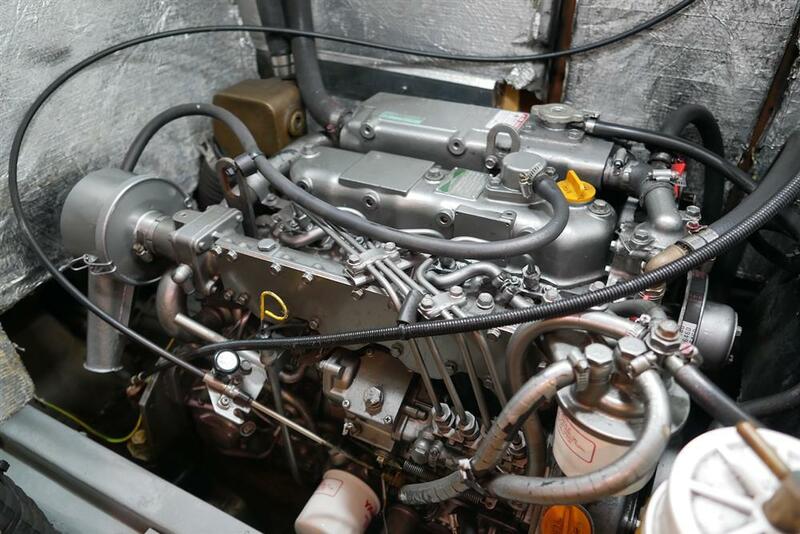 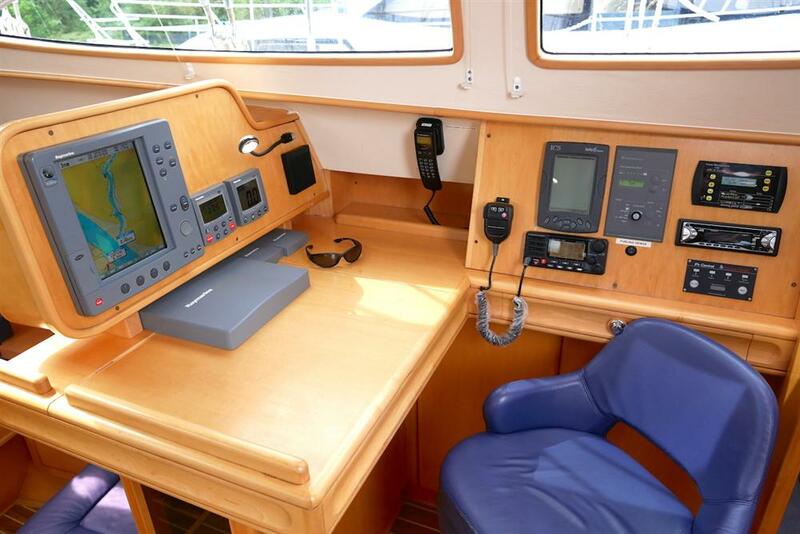 Very highly specified and professionally maintained she is a one owner 2004 Southerly 135RS. 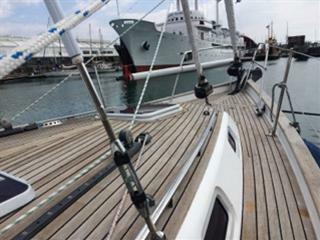 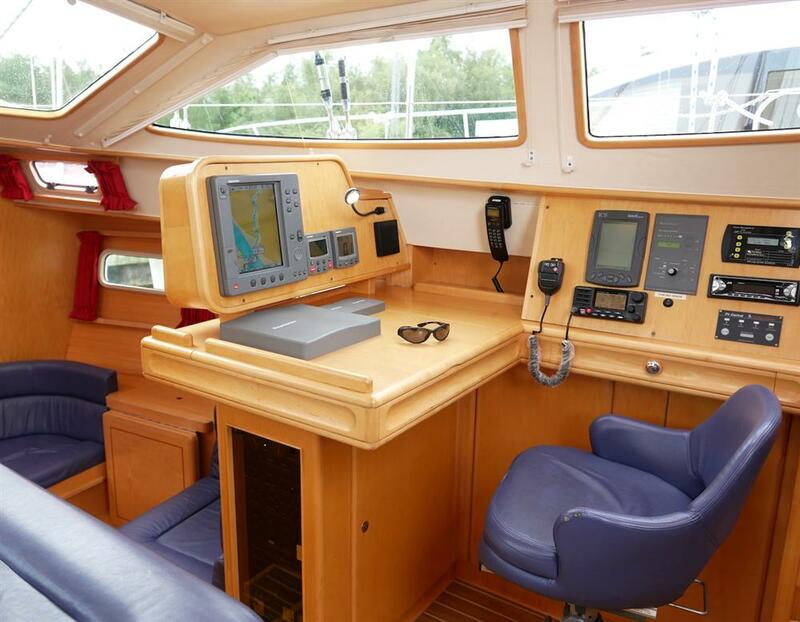 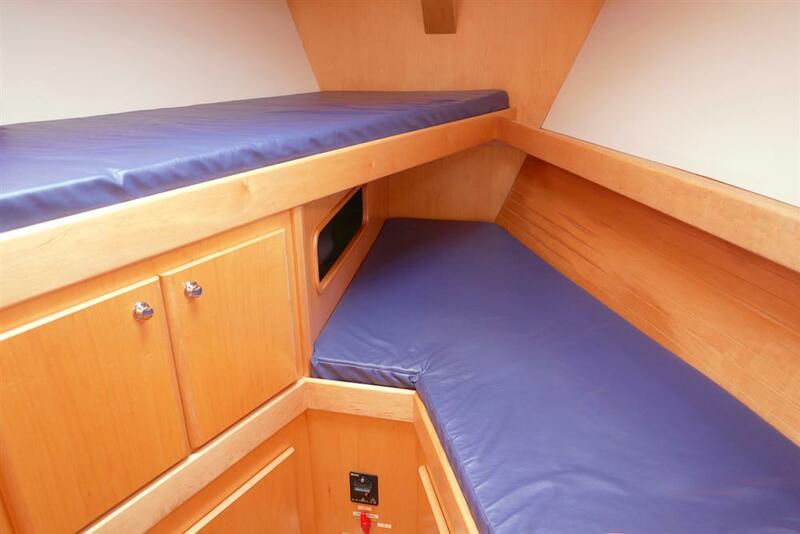 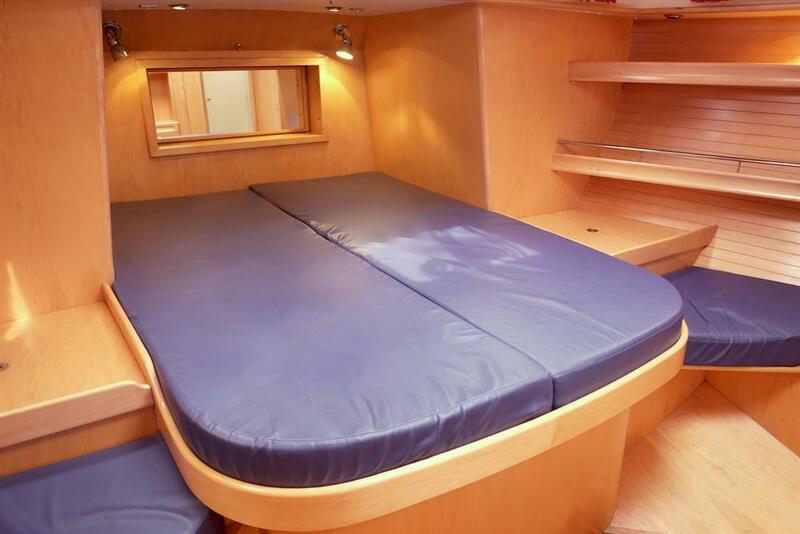 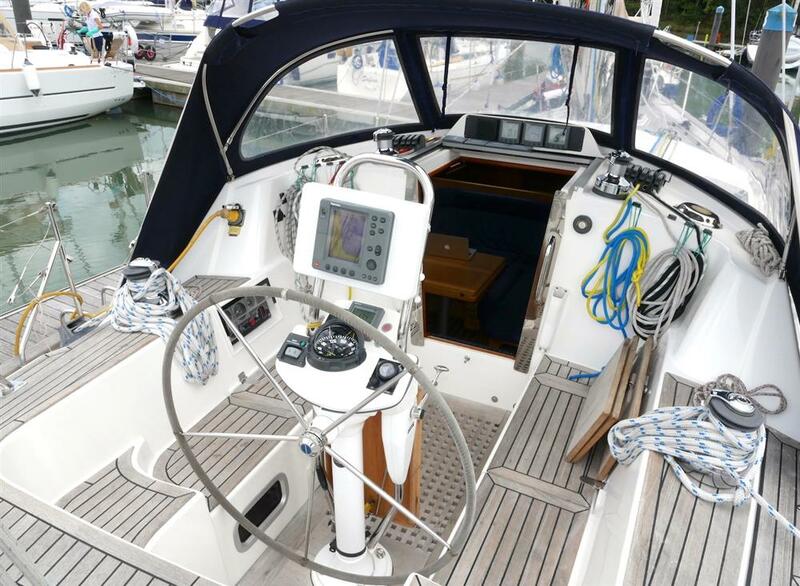 Set up by her knowledgeable owner for long distance family sailing, she has a clever bespoke interior layout and is capable of being sailed short handed with all controls in the cockpit. 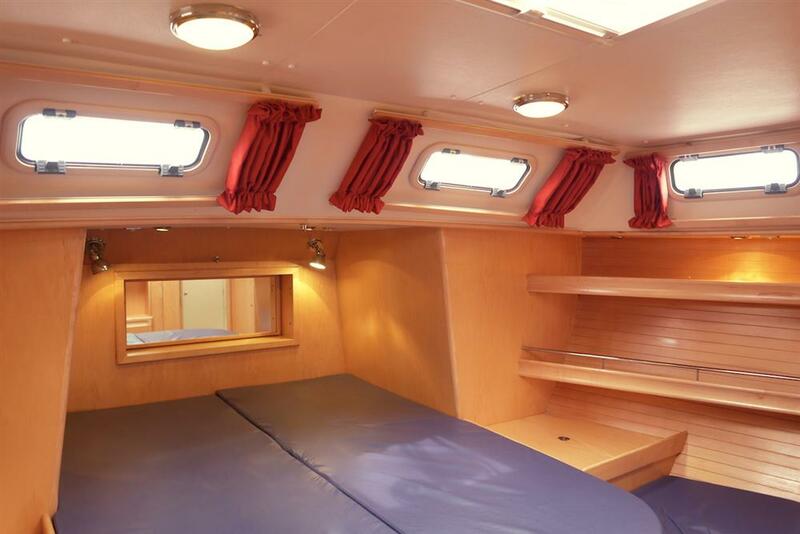 She has three sleeping cabins with an additional lower seating area, blue ultra Leather upholstery, Eberspacher warm air cabin heating, new sails, tall (17m) cutter rig, electric genoa headsail furling, electric cockpit winch, bow thruster, Fischer Panda 3.8kw generator and much more. 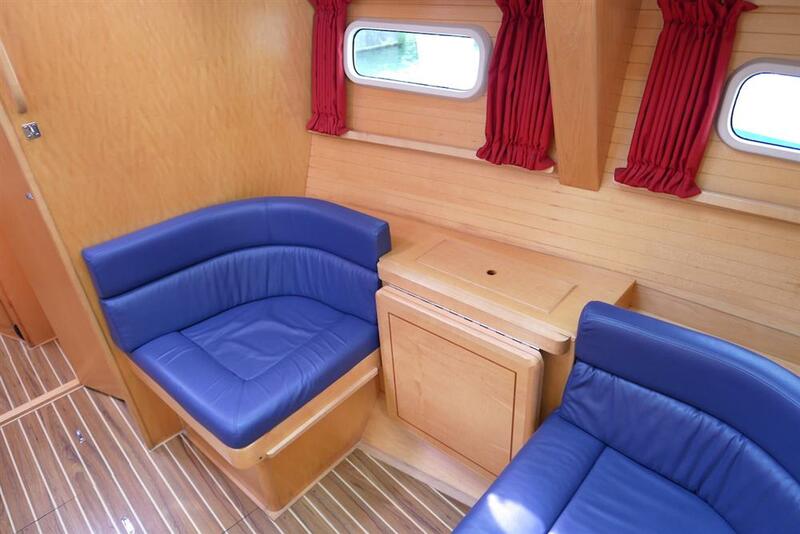 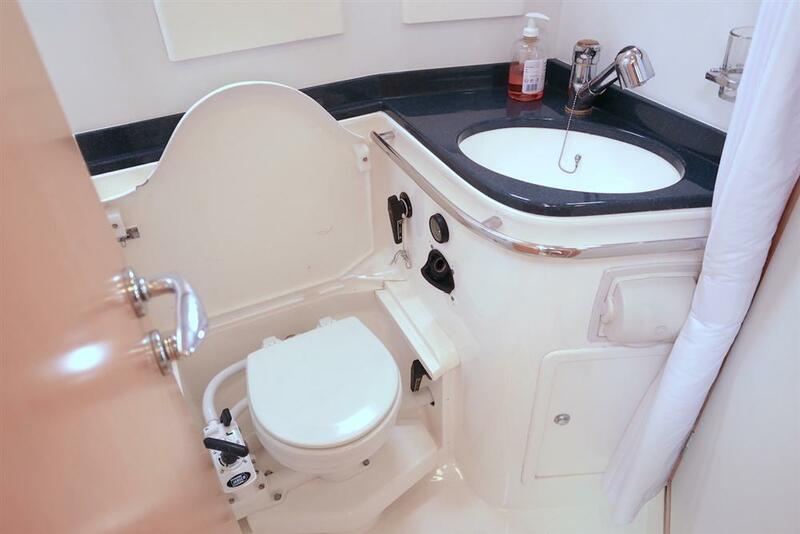 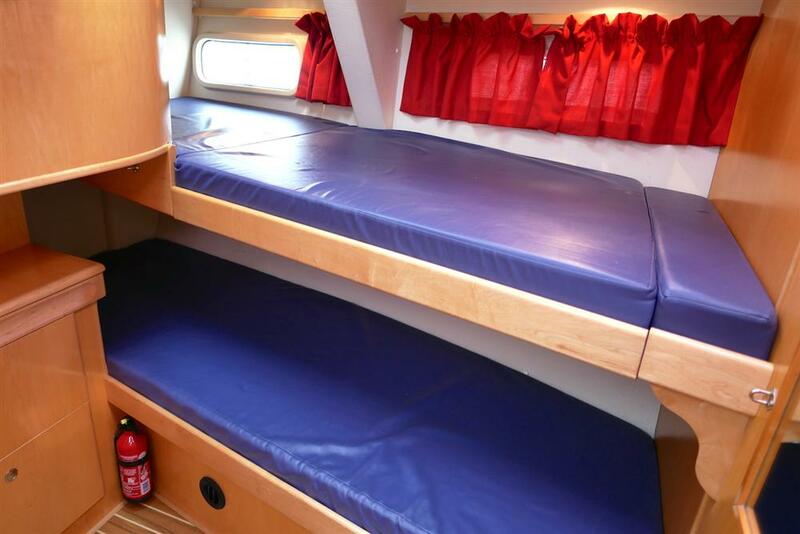 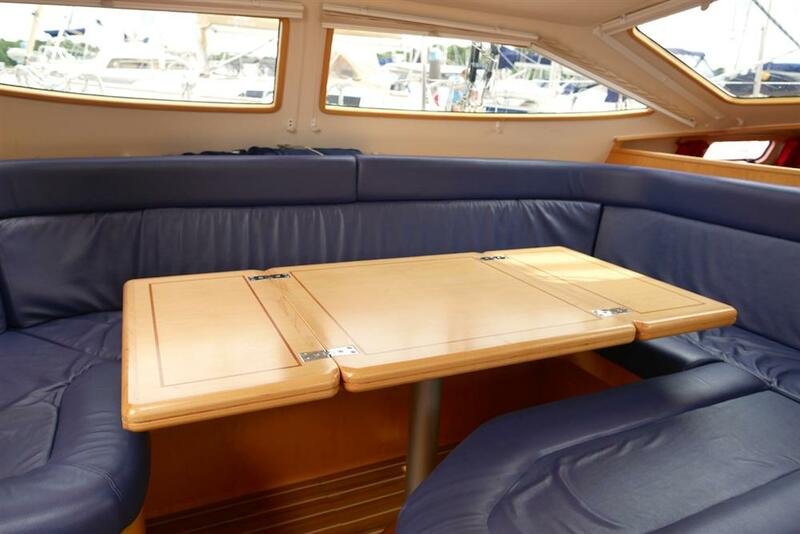 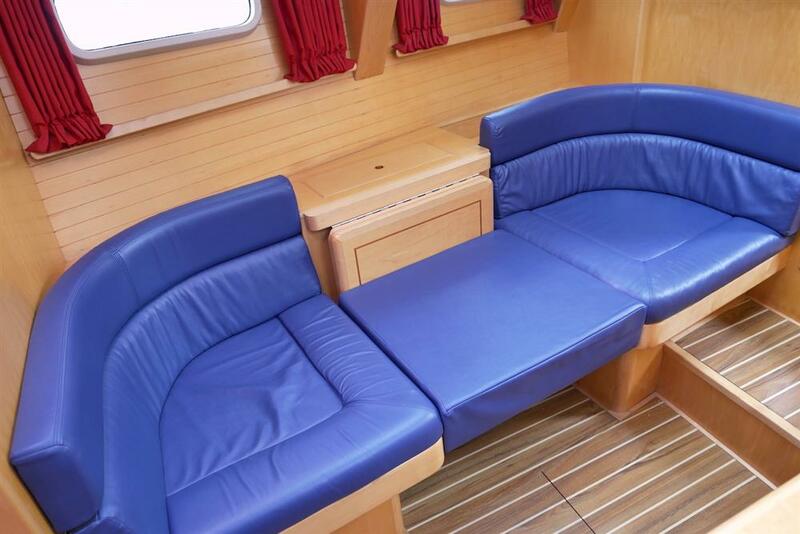 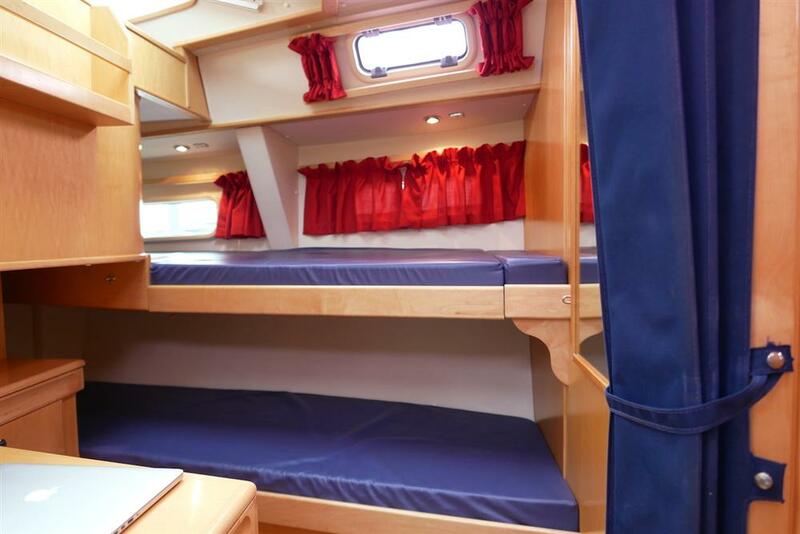 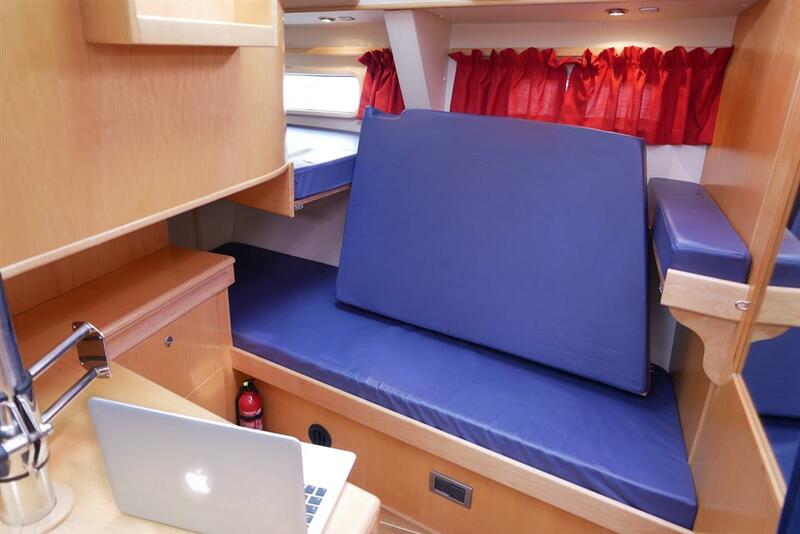 DOES SALOON CONVERT TO A DOUBLE OR SINGLE BERTH: Yes - raised saloon 1 single. 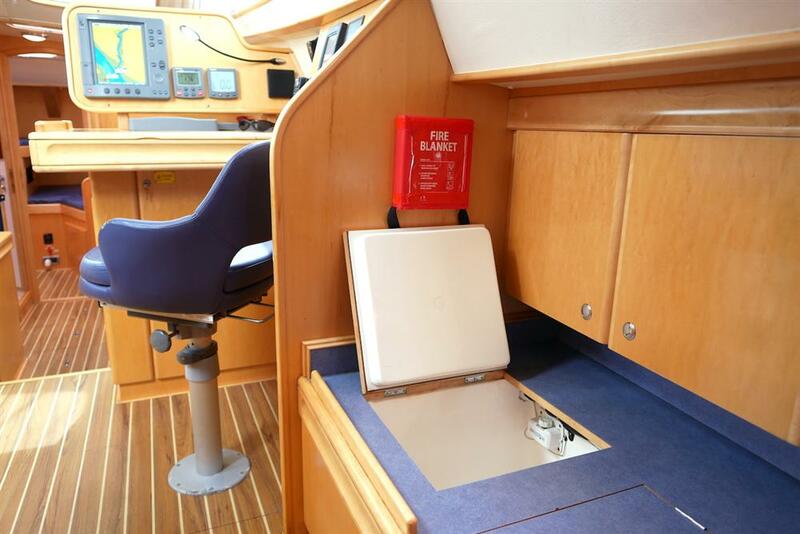 Mobile solar panel 3AH (2013) to plug in at rear. 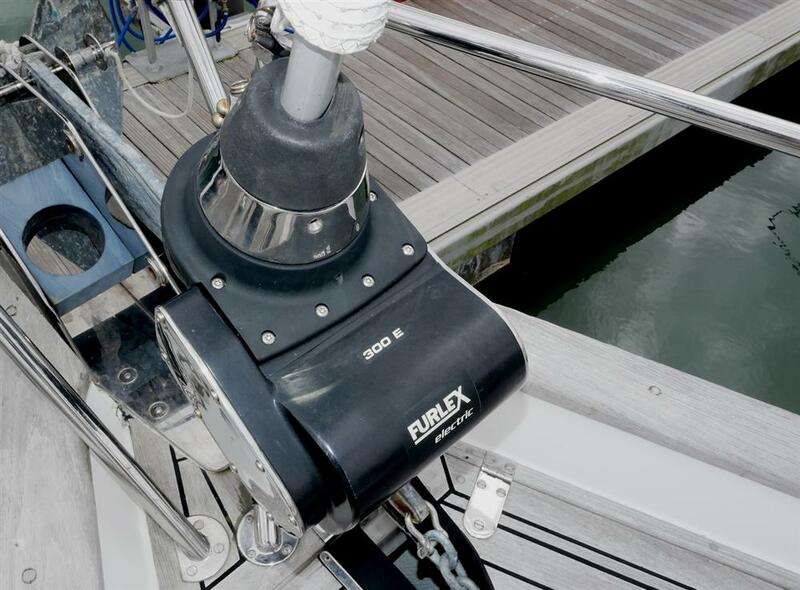 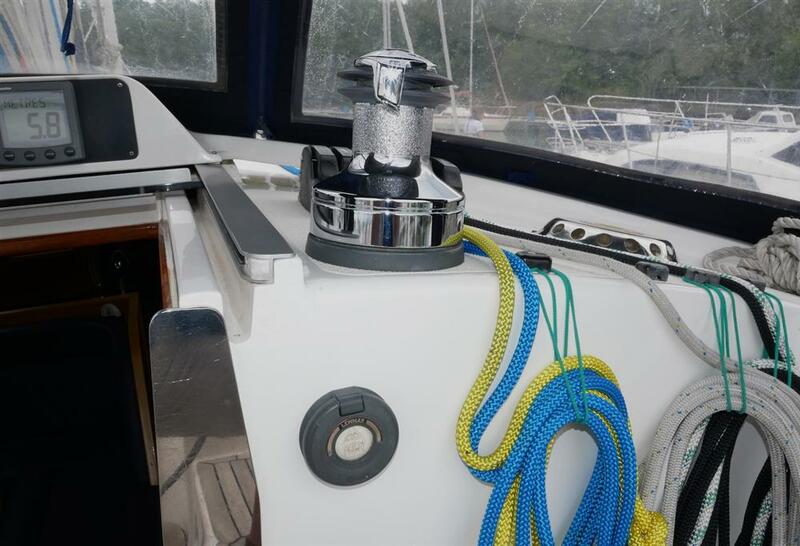 Used when at anchor to top up battery bank. 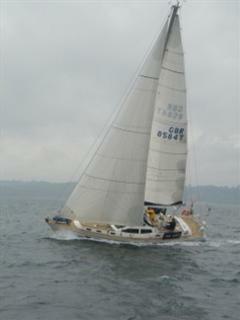 In our first boat (36ft) we sailed the Atlantic in 2001. 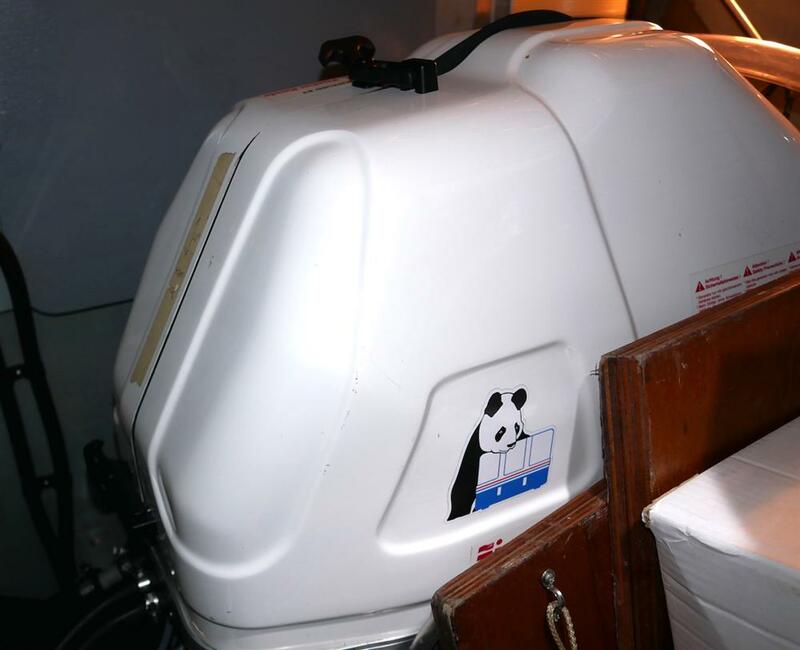 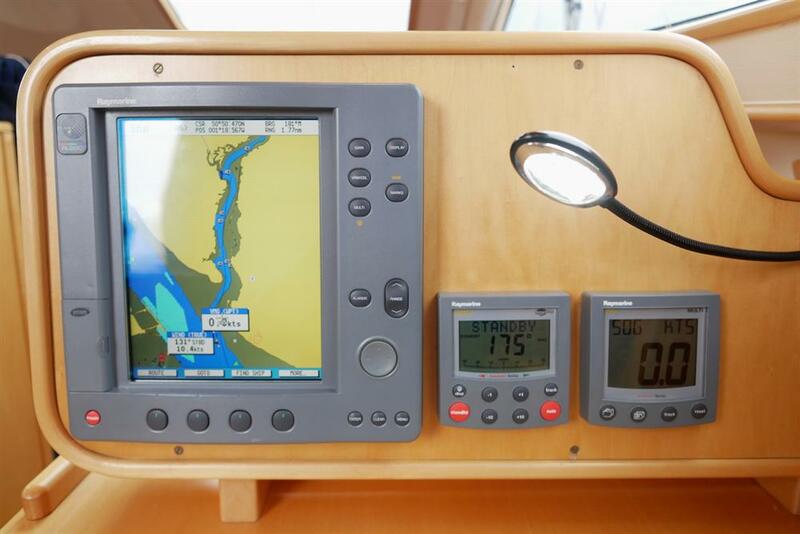 This provided us with information on what equipment and layout would be useful, vital or superfluous for long distance sailing and living aboard. 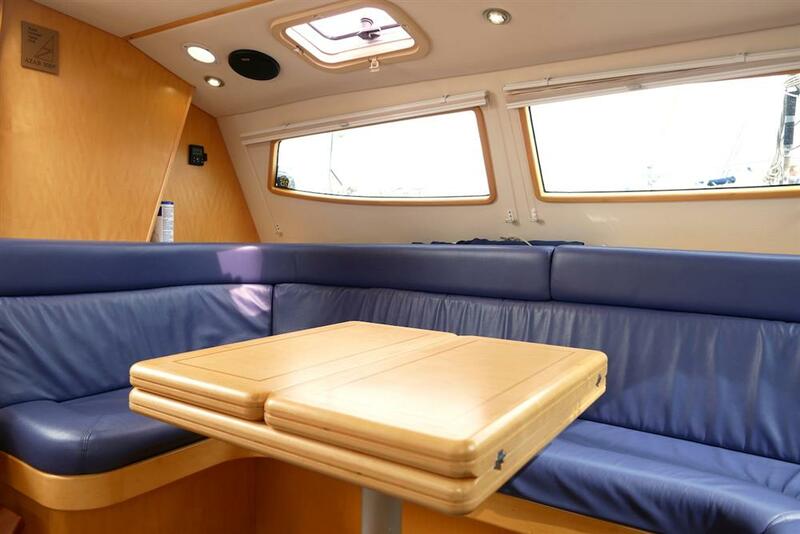 The yacht’s standard hull and raised saloon was modified for us from new by the manufacturer to suit our requirements. 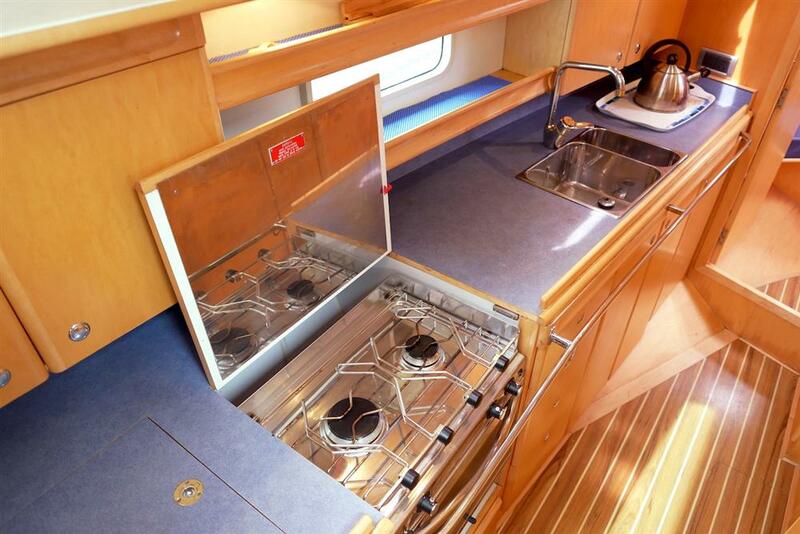 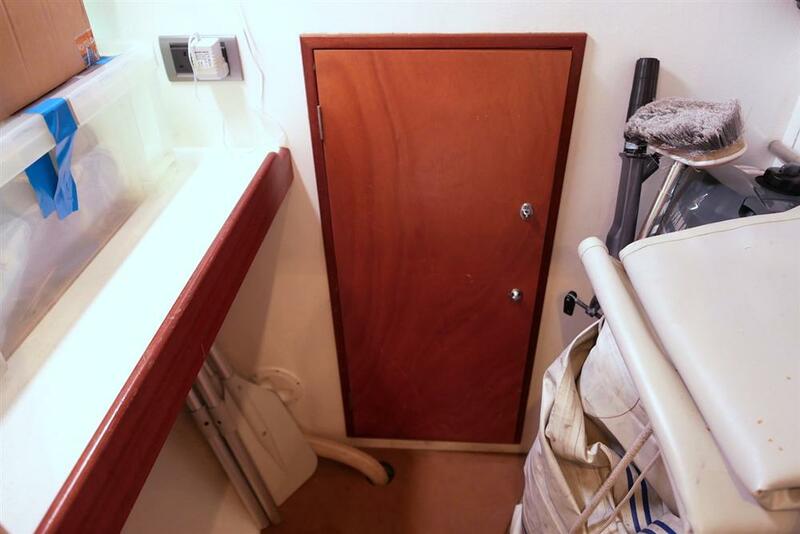 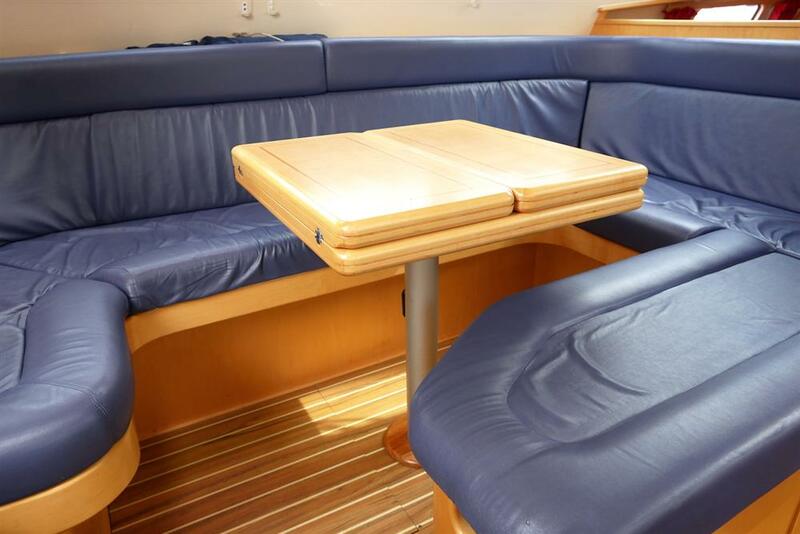 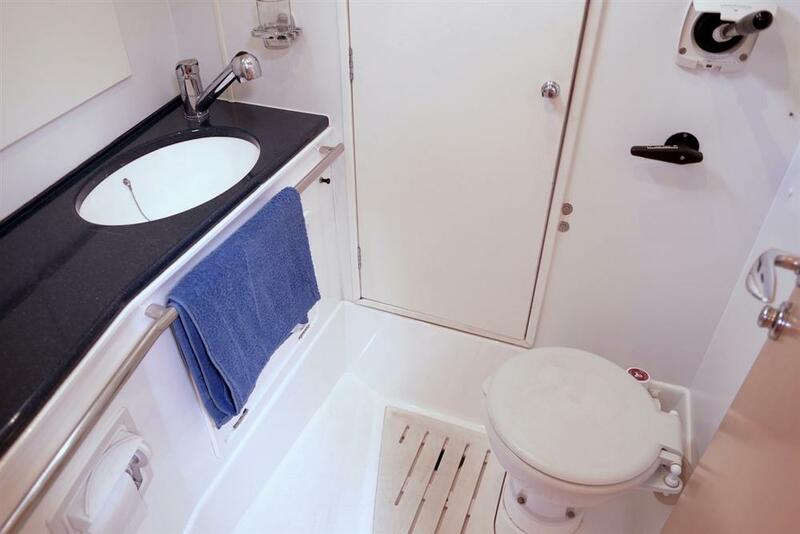 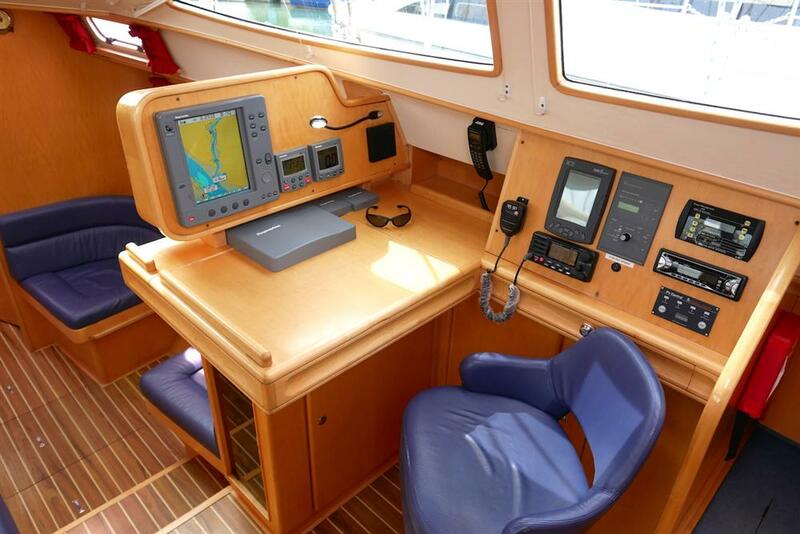 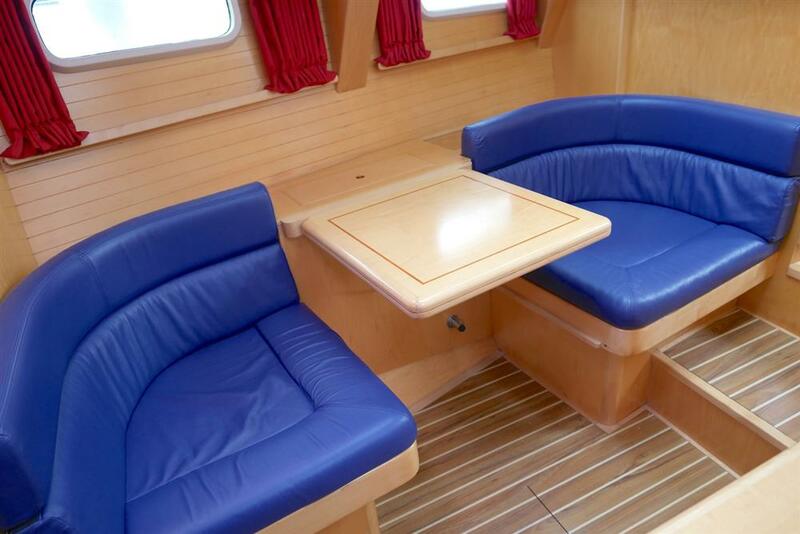 The side galley is very useful in big seas, and the open plan in the midsection allows lots of light. 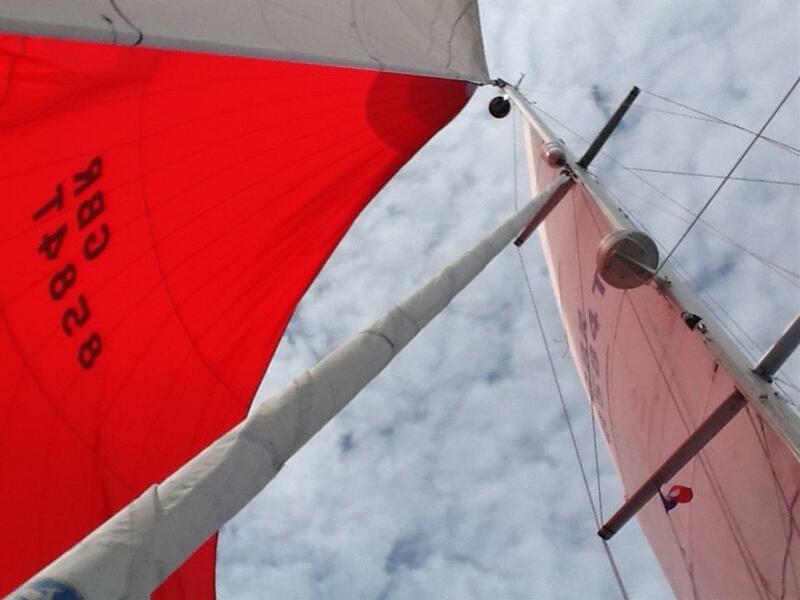 The tall rig (17m) provided a powerful sail pattern across the Atlantic and to the Baltic, Stockholm, Croatia and the western med. 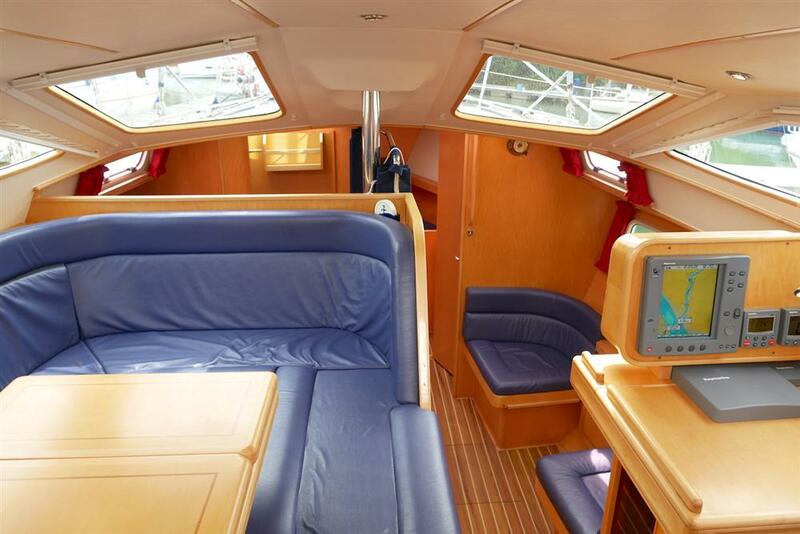 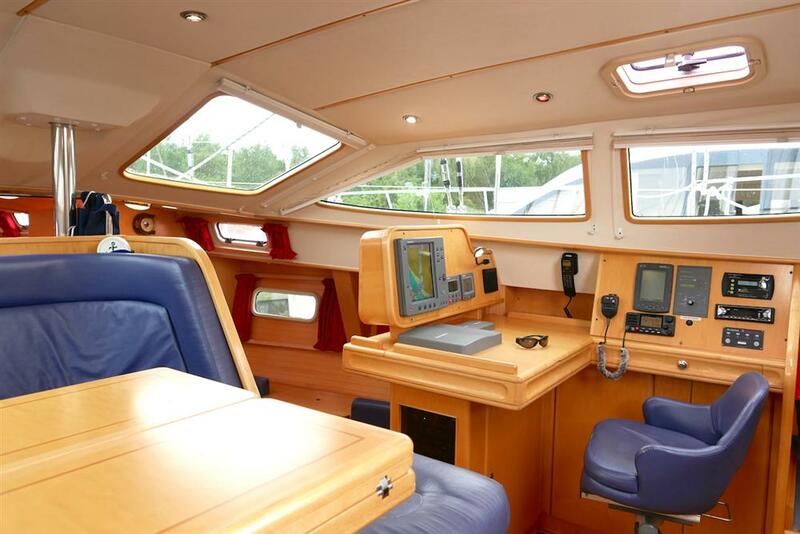 She is a very comfortable yacht for six (and up to eight for short passages). 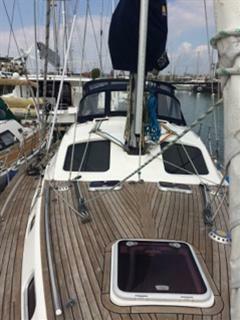 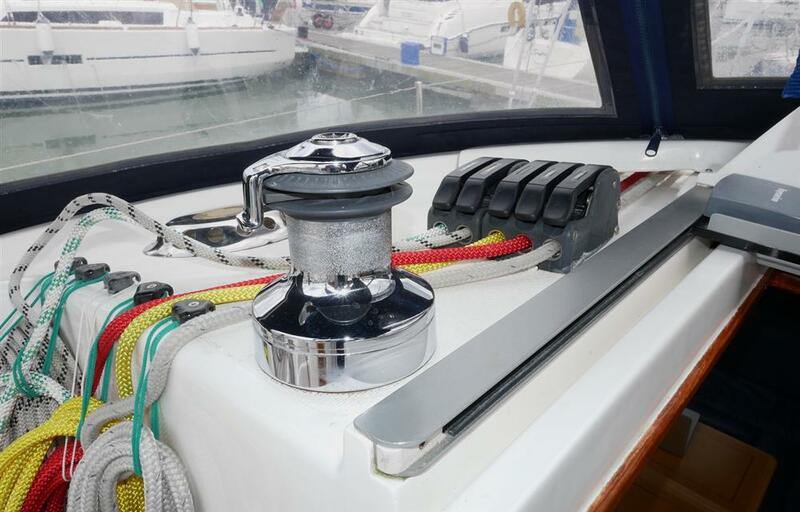 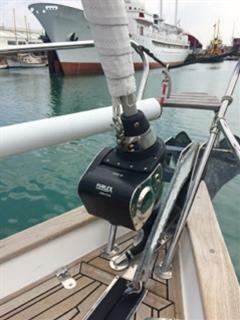 With electric genoa furling, electric cockpit winch and single line slab reefing she is easily sailed by two, especially on long passages. 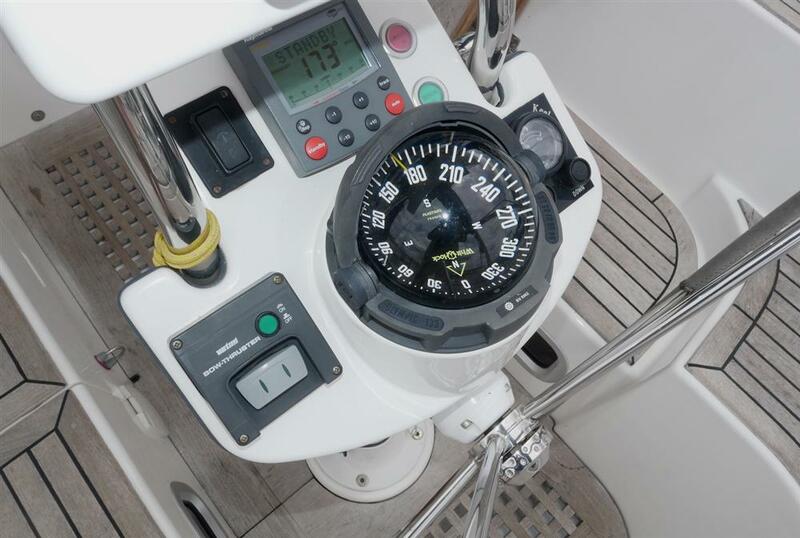 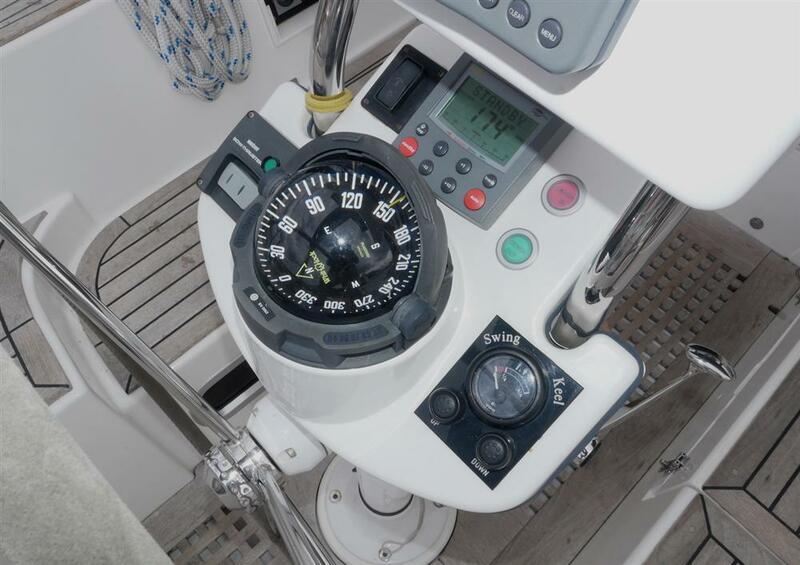 All controls are in the cockpit so there are no foredeck manoeuvres required in the dark. 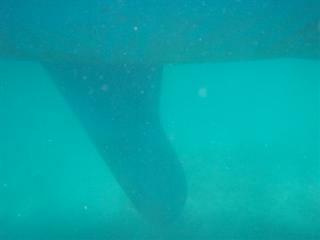 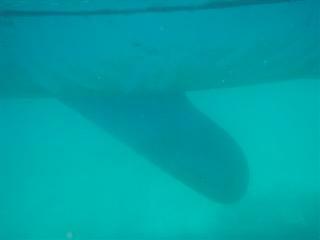 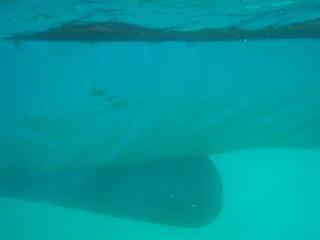 The lifting keel has also allowed us access to some very shallow and beautiful bays.